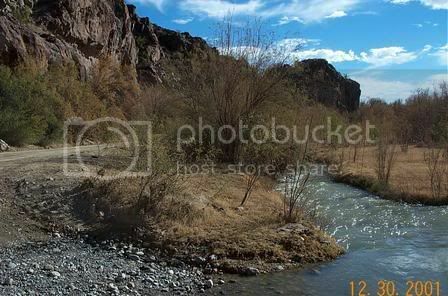 Pinto Canyon is south of Marfa between Marfa and Ruidosa. Drive down paved FM 2810 for 32 miles. Travel past end of pavement about 5 miles and you will drop into Pinto Canyon. The road is no more that a a steep , ruggged Jeep trail thru the canyon. Ride either direction. But you will change over 1000' in elevation over about 2-1/2 miles. Some portions are very steep and rough. The road slopes down from Pinto Canyon to the Rio Grande and you could almost coast the whole way. Its about 20 miles from end of pavement to Ruidosa. Great Beauty and solitude; a challenging aerobic ride. 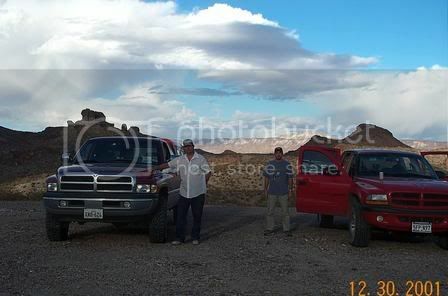 You can travel entire distance by any 2WD vehicle but Canyon portion is very rugged. Road is graded gravel between Pinto Canyon and Ruidosa. You will pass by Chiantia Hot Springs. Look for tiny, tiny sign 4 Miles N. of Ruidosa. One great ride thru Chihuauahaun Desert , canyons, past abandoned ranches, adobe buidlings and a silver mine. There are several stream crossings. Store at Rudidosa on Texas FM 170 may or may not be open. Bring everything you need, especially water. 1. this is very isolated country with little population. Rudsosa pop 15. So be prepared. store in Ruidosa open for sodas, food, but no gas. nearest gas is Presidio or Marfa. 2. for you herbalists : there is a 100% chance you will be stopped by customs(who are looking for drugs!). not just at immigration checkpoints on main Highways but anywhere along any roads at anytime. they DO NOT need probable cause to pull you over. For a singular West Texas adventure, take a drive through Pinto Canyon to tiny Candelaria. The line on the map begins at Boca Chica on the Gulf of Mexico and hugs the Rio Grande from its mouth to the Pecos River. 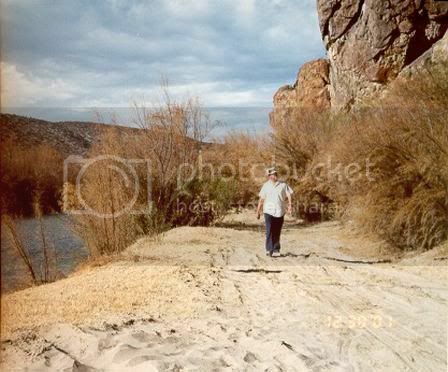 Ten times the riverside route changes highway numbers as it passes through Brownsville, Laredo, Eagle Pass, Del Rio, and points west, but only once does it stray far inland from the international boundary—between Langtry and Lajitas, where the Rio Grande is entombed in canyon lands so steep and rugged that not a single settlement occupies Texas soil along this section of river. Beyond Lajitas lie Redford, Presidio, Ruidosa, Candelaria, and . . . nothing. Just empty space on the map. 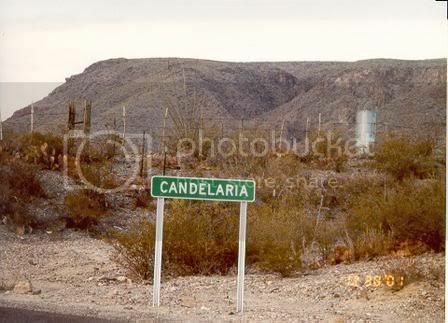 Approximately 750 driving miles from salt water, Candelaria is in the middle of nowhere, the town at the end of the road. The few visitors who make it up this far usually follow FM 170 up the Rio Grande from Big Bend National Park, but I prefer to go cross-country from Marfa through Pinto Canyon. 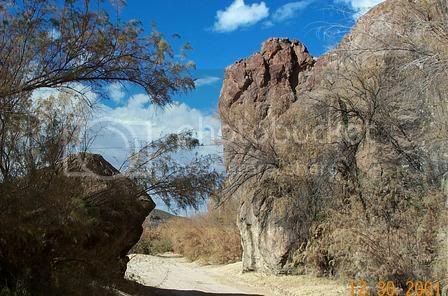 Most maps show the Pinto Canyon road (FM 2810) as petering out in the desert, but trust me, it goes through to Ruidosa, where you join FM 170 for the drive upriver to Candelaria. 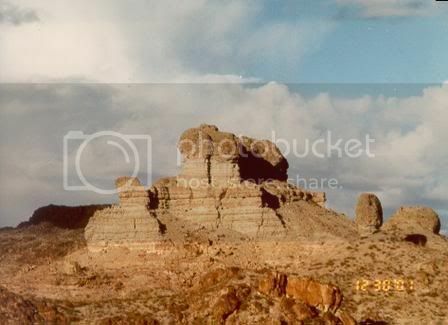 For those adventurous enough to take it, the rewards are scenic vistas and a sense of isolation that are remarkable, even by West Texas standards. My favorite drive in Texas begins west of downtown Marfa, by the Texaco station. In less than a minute civilization is a memory as the road is swallowed by the waist-high grasses of the Marfa Highlands. The 7,730-foot Chinati Peak rises from the horizon under a perfect blue sky marred only by a distant thunderhead, and the rolling terrain slowly gains altitude. Telephone lines and barbed-wire fences disappear, and nothing is left but road, land, and sky. Thirty-two miles from Marfa the pavement ends and the excitement starts. At first the dirt road is almost as wide as the paved portion, but after a couple of miles, it drops precipitously, twisting and turning down hairpin curves from a ridgetop into Pinto Canyon. Scrub oak and mesquite appear in this sheltered basin, where some of the low-water crossings are so jammed with gravel and stones that you have no choice but to slow to a first-gear crawl. I made it through with my Honda Accord's oil pan intact, but I strongly recommend a high-clearance vehicle. 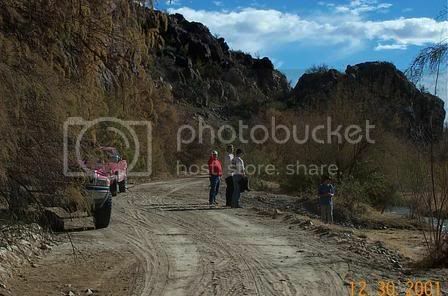 Rio Grande river road from Candelaria to Esperanza? I had already read the first two articles. Almost have the wife talked into the Pinto Canyon/Hot Springs trip, but probably not without a stop over at Lake Amistad/Del Rio/Acuna. I knew from Garmin Topo and Google Earth that there is a whole network of roads from Candelaria to El Paso and thought about choosing a route and trying it one day. I even think Google Earth pointed me to an old fort from the late 1800s out there, don't know if any ruins remain. I asked some of my business associates from El Paso about the back roads in that area. There only comment was there is considerable border patrol and drug activity. Don't know how credible they were in that regard but I put that trip on the back burner for now until I get more information. Don't know about the drug runners. Used to be under Pablo Accosta when he was running the plaza. Several easy low water crossings. We went up 30-40 miles from Candaleria along the river. Two vehicles. Very narrow road. You will get scratches on your vehicle. Very spooky too - dense brush, absolutely no one around, etc. Getting late decided to turn around and head back to BBRSP. Certainly didn't want to traverse it at night. Plan was to go up quite a ways and hopefully cut over to Valentine. Roads of Texas and topos show a lot of roads in the area - impossible to tell what is public/private. On this trip I don't recall seeing any DHS CBP, on a subsequent trip up through Pinto Canyon we saw 3-4 DHS CBP on the ground and at least one fixed wing. This is where state maint ends and the dirt road starts. You are on your own from here. River gaging station and a great place to cross into Ole Mexico. Many tire tracks going through the river. There was one spot that had a fantastic overlook, etc. I think it is county land and you might actually be able to setup a camp there. Would be a great camping site. We had a difficult time figuring out where we were and how much further to go. I'm pretty sure we didn't have a GPS with us. Here is a link to the hot springs. Awesome pics and interesting info. There is a road (The Green River Road is the common name) which goes basically due South out of Van Horn all the way to the Rio Grande. I've been halfway down the road many times, as it's one of the routes to our land in the Eagle Mountains. 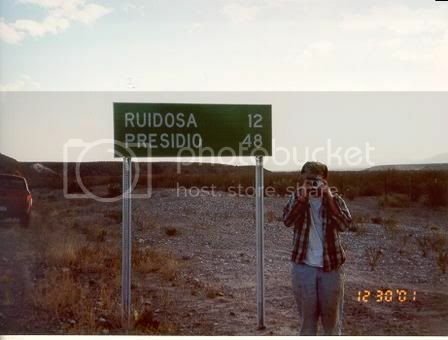 But I've always wanted to head all the way down there and make the drive over to Candelaria, and then up to Marfa. I just don't have anyone in my family that's willing to get in the car with me for 8 hours and do that kind of thing. Though roads are shown on maps, there are locked gates to impede your progress. 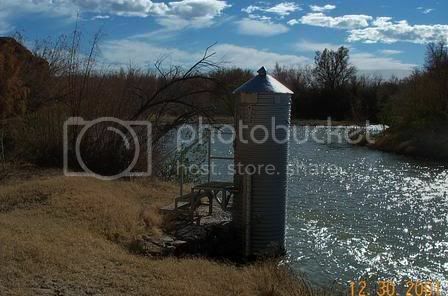 Have traveled the river road from El Paso. Have traveled the river road from Candeleria. Eventually, locked gates stopped the journeys from both directions. There is another hot springs in the locked area. See "Border Healing Woman", a book. It is about a lady with the last name of Babb. 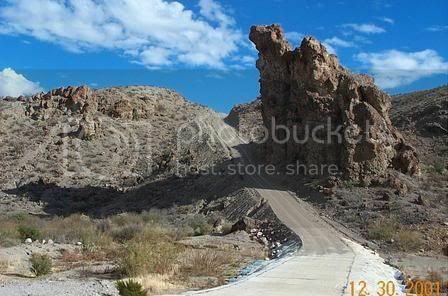 There are alot of her family in the Big Bend area. The Dallas Oil Man, H L Hunt bought the place with the hot springs and would go there alot in the last ten years or so of his life to get rejuvineated. I have a similiar problem here. My free time is always in competion with other's interests. That's OK but sure hampers my adventures/misadventures. The green river road. Is that the road that drops down from Chispa to the Rio Grande? Yep, I have encountered a lock gate or two in my explorations. Have to always be prepared with enough gas/time to retrace your route from whence you came. Would those be the Indian Hot Springs? Yes, it is the official Indian Hot Springs. However, lots of places are called indian hot springs. This one was the "Border Healing Woman" who was named Jewel Babb. And, later owned by H L Hunt. Disregard the question about Chispa. I found the Green River Road. We have friends that went up Pinto Canyon from Presidio to Marfa and got stopped by Border Patrol, also got a thorough going over by BP. This was a couple in their 60's. We have been told by folks who live in the area (Presidio) to stay out of that area past Candeleria, due to drug trafficing, that it is a bad place to travel. Have not been to Pinto Canyon, so my info is second hand, but I guess I would be careful traveling past Candeleria. Shoot, your probably very safe up there with the amount of white vehicles driving around that have green stripes on them along with airplanes in the sky. 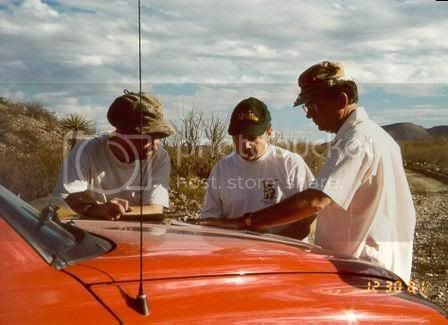 Story is recounted somewhere on the board, but we went up that way several years ago and FRED got tailed by the border patrol for a long time. We must have seen 3 or 4 vehicles, at least one airplane, etc. It is a very nice drive up through Pinto Canyon and I would highly recommend it. I've been wanting to go from Marfa to Candeleria (instead of Candeleria to Marfa). 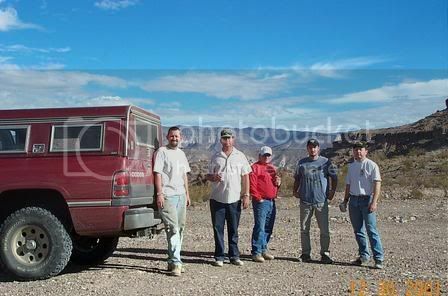 I've also wanted to take the river road all the way up to I-10 in the Van Horn area. Count on me for that road trip. In '68 when I was in 6th grade we lived in Presidio. 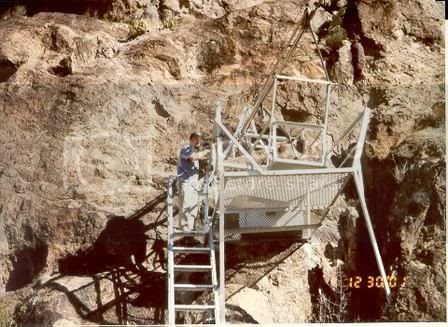 My dad ran the construction for the weir dam upriver and also the one on River Road below Presidio. 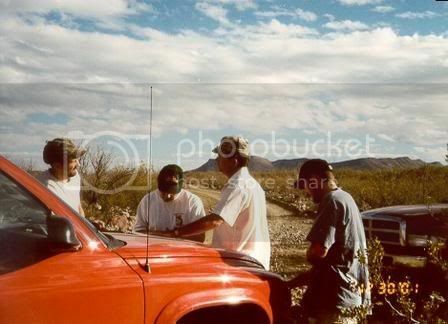 We used to drive many of the back roads around Candelaria looking for old cementaries. Would love to do that again and am glad to see others exploring this area. I know this post is getting to be an old one, but I thought I would breath some new air into it with a few photos from the Pinto Canyon Road. 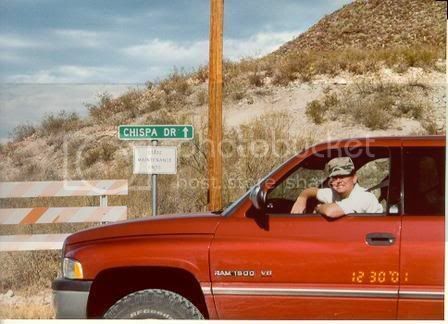 &nbsp;We drove this road from Marfa to the http://www.chinatihotsprings.com/ Chinati Hot Springs and then back to FM-170 at Ruidosa, Texas.&nbsp; I was wondering if anyone had driven then road from FM-170 through to the Chispa Road?&nbsp; I have some land off of Chispa Road and wanted to make the Pinto Canyon / Chispa Road drive.&nbsp; I know some skilled dualsport drivers have done it, but I was wondering if any 4x4 enthusiast have made the entire haul?